Let’s face it; no one looks forward to hearing the word “hospice.” Instantly the dire status of our health condition, or the terminal prognosis of a loved one, comes into sharp, frightening focus. The time has come to manage the final stage of life, so the question becomes should hospice care be provided in a medical facility or in the privacy of your home? The prospect of facing one’s last days in the sterile environment of a hospice center can be very upsetting to the patient, as well as the family. Home hospice care at home offers palliative treatment within one’s familiar surroundings, adding a layer of comfort to the process of transitioning. In many ways, hospice offers the patient and their family members a great deal of support that creates a calm and soothing home environment. 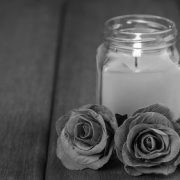 What is Hospice Care at Home? When it is time for hospice care, it is important to understand what all is included in a home hospice program. Hospice care involves a multi-disciplinary approach to providing comfort and nursing services to terminal patients, allowing them the peace of being in their own home during their final days. 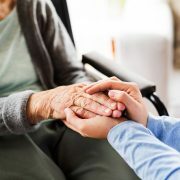 End-of-life care can be a gift to not only the patient, but also provides relief for the family members who may have been involved in long-term caregiving for their loved one. Medicare and insurance plans specify what home hospice services are included in the plan and which are not. What are the Benefits of Hospice Care at Home? Offers a coordinated, comprehensive care plan with trained caregivers who manage pain and provide general care, symptom management, feeding, and hygiene care for the individual. Offers 24-hour on-call support as needed, which reduces stress and anxiety for both the patient and the family members. Offers a comfortable, familiar environment where family and friends can gather and spend time with the individual. Offers a calm and peaceful end-of-life process without the invasive disruptions experienced in a hospital environment. Offers counseling for family members as they cycle through the emotional aspects of losing a loved one. Offers respect for the individual’s wishes regarding their end-of-life care. Offers a reduction in out-of-pocket expenses versus the high costs associated with institutional care settings. At Kinkaid Private Care, we understand how important quality hospice care is to a loved one facing life’s final journey. 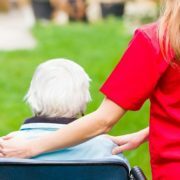 We are here to connect you to the best home hospice care providers available, assigning an experienced team of trained hospice nurses. These hospice professionals will address all aspects of your loved one’s life, including their physical health, spiritual needs, emotional concerns, and social attachments. Kinkaid Private Care will design a personalized hospice care plan that will help maintain a calm, quiet, and peaceful environment in the home. Kinkaid Private Care Services Beverly Hills and surrounding cities including Beverly Glen, Bel Air, Holmby Hills, Sherman Oaks, Westwood, West Los Angeles, Brentwood, Pacific Palisades, Malibu, Santa Monica, Manhattan Beach, Mar Vista, Marina Del Rey, Culver City, Century City, Hollywood, and Burbank. For more information about home hospice care, please call and speak with one of our nurses today at (877) 388-6373.